Medium-frequency currents have been a golden standard in pain relief therapy as well as in treatment of muscoloskeletal disorders for several years. The principle of interferential therapy is to pass two medium frequency alternating currents, which are slightly in phase through the tissue. Where the currents intersect a new current is set up having lower frequency and higher intensity than the initial currents. This way, a simultaneous effect of medium and low-frequency currents minimizes skin irritation and tremendously improves the treatment results. Interferential therapy is most often used for pain relief, and to aid in reducing the swelling of soft tissue. Ligament sprains, muscle strains and spasms also respond to this treatment, helping reduce atrophy and increase blood circulation. The MEDIO IF is a two-channel device that enables the therapist to perform a wide range of treatments. Beside the classic four-pole interference, the device also offers two-pole and four-pole interferential therapy with vector. Adjustable intensity, frequency, spectrum, and therapy time allow the individual therapy program to be created for each patient. The pre-set programs covering all the applications make the device user-friendly and help the clinician to decide upon the treatment parameters faster and easier. The MEDIO IF is a professional instrument. The treatment must be performed by trained and experienced personnel in order to assure the successful therapy. Therefore, the device is to be used in hospitals, nursing homes, health centers, private physiotherapy offices or due to its size even in field (sports clubs, home nursing). 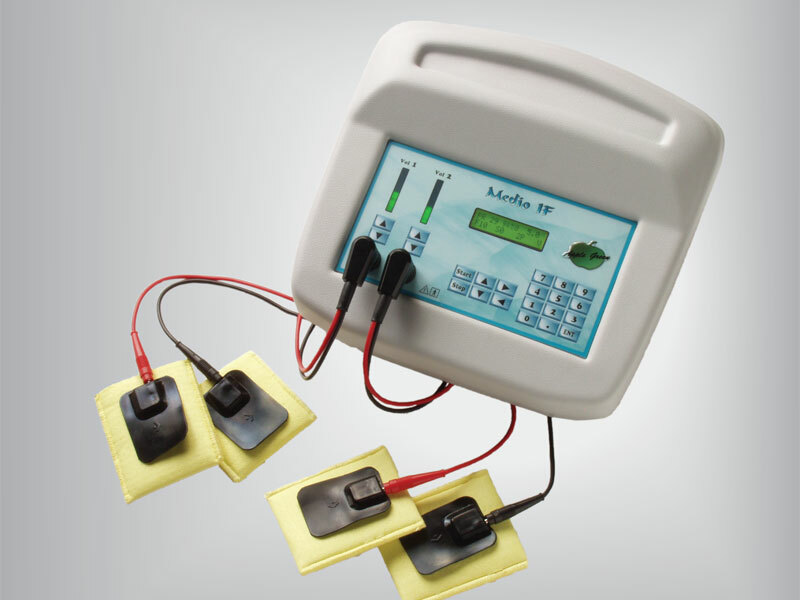 The MEDIO IF can be connected to the MEDIO VAC what simplifies fastening of electrodes to the patient, and improves the treatment results with simultaneous effect of interferential currents and vacuum massage. Indications for use: ischialgia, neuralgia, epicondylitis, knee arthrosis, contractures, distortions, myalgia, muscle atrophy, mb. Sudeck, arterial and venous circulatory disorders.